For the second time in a row H-One Entertainment brings to you, your favorite standup comedy show Basketmouth Uncensored Ukraine. This year's edition is bumper packed as it hosts Afirica's number 1 comedian the legendary Basketmouth alongside another crazy rib cracking Nigerian comedian Bovi a.k.a Akpos. 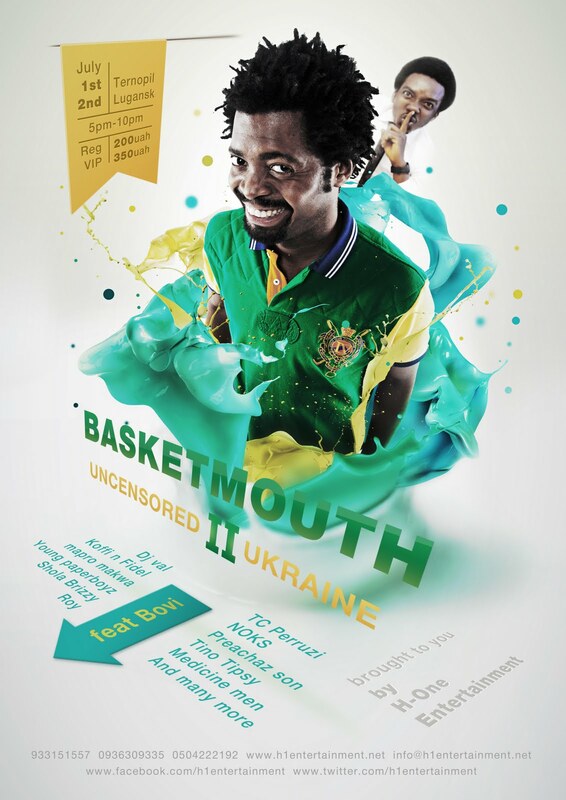 Its gonna be happening LIVE in the beautiful cities of Ternopil (july 1st ) and Lugansk (july 2nd ) from 5pm - 10pm. Its a 5hour unlimited laughter comedy show like never before and after the show in each city, an after party follows. **We gonna be vip lounging with the stars**!!!!! !